5 g/t gold and 880 g/t silver over 6.90 meters core length (multiple samples greater than the upper 500 g/t analytical limit for tellurium). COD18-67: 129 g/t gold and 1,154 g/t silver over 7.28 meters (multiple samples exceeding upper 500 g/t analytical limit for tellurium). Analytical results for drill holes COD18-61 to COD18-64 were reported in the Company’s News Release of January 9, 2018, the highlight being 28.0 g/t gold, 424.7 g/t silver and 150.4 g/t tellurium over 1.17 meters core length in COD18-63. 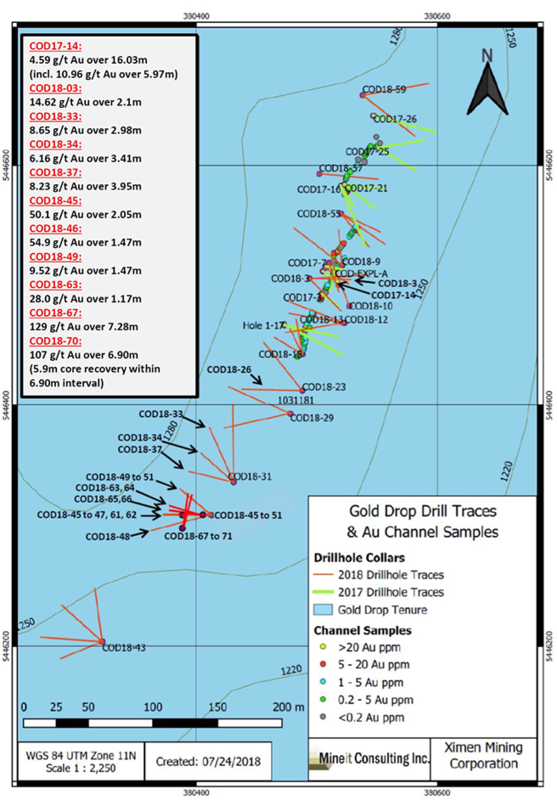 Analytical results for drill holes COD18-64 to COD18-67 were reported in the Company’s News Release of January 11, 2019, the highlight being the intersection of 129 g/t gold and 1,154 g/t silver over 7.28 meters core length in COD18-67. Holes COD18-61 to COD18-66 were drilled to the west and slightly northwest at dips of 45 to 60 degrees to intersect the approximately northeast striking vein(s). Holes COD18-67 to COD18-71 were drilled at dips of 45 to 60 degrees slightly northeast to intersect the vein(s) at a shallower angle, the objective being to test the continuity of the quartz veining and mineralization. Although drill holes COD18-67 and COD18-70 were not drilled perpendicular to the strike of the COD vein, they still show the exceptional high-grade nature of the vein, possibly being, or leading to, a “motherlode”-style feeder system. As the Company continues reminding of the old saying “we drill for structure and we drift for grade”, both holes indicate how potential drifting may encounter the vein in case a potential production decision can be made in the future. Drilling along veins at slight angles helps in locating possible “ore shoots” and gaining a structural understanding of its vertical and horizontal orientations/extensions for targeted follow-up drilling. 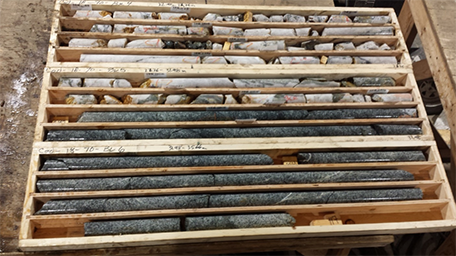 The drill core was split with half core samples securely packaged and delivered to ALS Canada Ltd. in Vancouver, BC. The core samples were analyzed for gold by Fire Assay-Atomic Absorption and for 48 elements (including silver and tellurium) by Four Acid – ICP-MS. 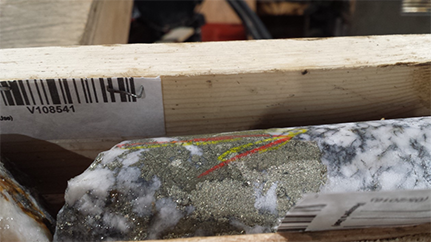 Samples exceeding 100 g/t gold were re-analyzed for gold by Fire Assay – Gravimetric Finish. 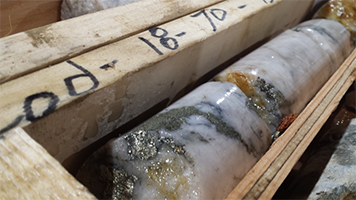 Samples exceeding 100 g/t silver were re-analyzed for silver by Four Acid – ICP-AES. Samples exceeding 1,500 g/t silver by Four Acid – ICP-AES were re-analyzed for silver by Fire Assay – Gravimetric Finish. Quality control (QC) samples were inserted at regular intervals.